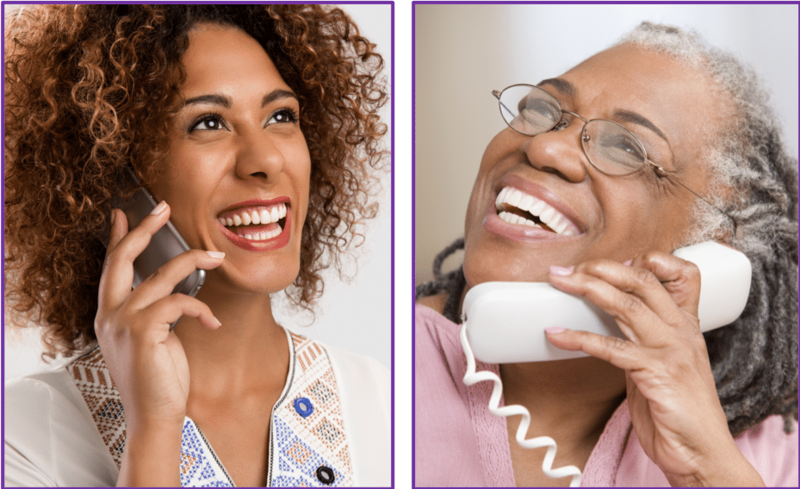 The teleCalm Phone Service helps seniors make phone calls with confidence, while allowing family caregivers to manage the service remotely. There are so many things to stay on top of as a family caregiver and frequently it feels overwhelming. The telephone is one of those things that can add to your stress and frustration. You want your loved one to stay engaged with family and friends. It is important to keep them connected, to ward off loneliness and isolation. But for many caregivers, dealing with the frequent late-night and repeated calls gets to be too much. The teleCalm service empowers you as the family caregiver to use and tailor features to best fit your family’s needs. Easily stop repeated calls, and set custom quiet hours to manage incoming and outgoing calls during late night hours. Prevent outgoing calls to TV shopping channels and other troublesome numbers. All features are easily managed using the free Caregiver App on your iPhone or Android. If your loved one lives in Assisted Living or Memory Care, teleCalm can help address inappropriate 911 dialing issues as well, while still allowing your loved one to stay connected with family. If your loved one lives independently, you want to help keep them safe and independent as long as possible. 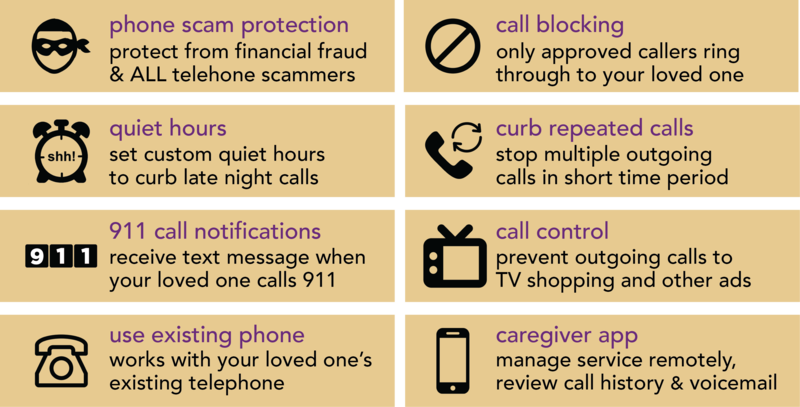 teleCalm will notify you immediately if your loved one dials 911.
teleCalm offers phone scam protection and enhanced call blocking. Only approved callers ring straight through to their home phone. NO calls from known bad guys ever get through. Sign up for teleCalm today and experience peace of mind!